If you’re a business owner today, chances are you’re swimming in a sea of data. It doesn’t matter if you’re a solopreneur doing work as-needed or are trying to build up an ecommerce empire. From follower counts and earnings reports to web analytics and beyond, numbers are the name of the game for modern companies. That being said, this flurry of data points creates a distinct problem. Figuring out which numbers are the most important for your business and its bottom line can be difficult when you’re trying to chase so many metrics. Even so, a data-driven approach to doing business is an expectation, not an exception to the rule. So, how do you wrangle your numbers? How do you figure out the most important metrics for your business? While the “right” answer may vary from company to company, we’ve boiled down six dashboards and data points today’s businesses should keep a keen eye on. Whether through third-party tools or in-house reporting, these areas of focus should be looked at on a daily basis to ensure that your business is running as smoothly as possible. And with that, let’s break them down! Although controls and issues might not be the most “exciting” metrics to track on the surface, they’re arguably the most important for your business today. 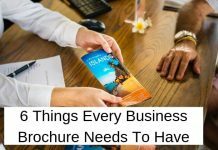 In a business world dominated by security concerns and data breaches, knowing that you’re running your business by the book is crucial for you and the well-being of your customers. “Failing to comply tells customers that they can’t trust you to keep their data secure—a sure way to lose business in this day and age,” says Reciprocity Labs As such, compliance data is nothing to scoff at for both your company’s security and your bottom line. Not a data point per se, your project management dashboard does clue you in on the accountability of anyone and everyone on your team. Platforms like Trello, Asana and Basecamp are cornerstones of businesses today because they ensure that your day-to-day tasks aren’t falling by the wayside. 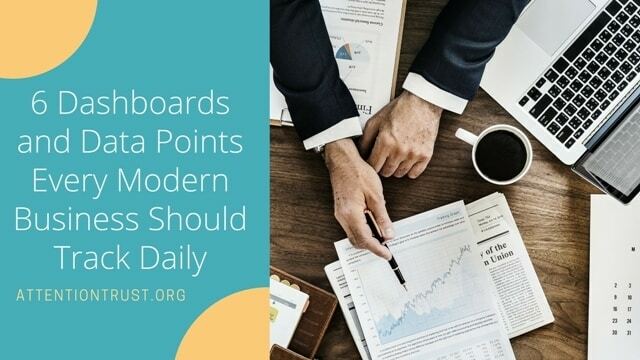 While these platforms send notifications to keep you in the loop, looking at your boards daily will always give you a big-picture pulse on what’s going on within your organization. As managers and higher-ups should have as much stake as possible in their teams, an emphasis on project management better aligns your team and their goals. 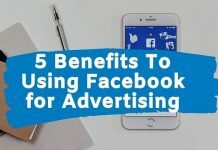 Another data set that often goes overlooked, earned media mentions are more important than ever as businesses require social proof to win over customers. Whether it’s links from blogs or tags from influencers on social media, capitalizing on these mentions in real-time allow you to maximize your press and PR campaigns. Social listening platforms and dashboards help ensure that these occurrences don’t go unnoticed, representing worthwhile investments given the busy nature of social media. Perhaps a no-brainer, most businesses watch their web analytics like a hawk. Even though measuring daily traffic and metrics such as bounce rate is smart, it’s important to also track long-term trends as well. Remember: spikes or drops in traffic do indeed happen. As such, look beyond daily reports when assessing your numbers. Pop quiz: are you meeting the email marketing benchmarks for your respective industry? Whether it’s increasing your open rate or boosting conversions, email marketing in and of itself is a constant work in progress. Campaigns are always changing and your list is always growing. Therefore, optimizing your email presence requires a constant assessment of what’s working and what isn’t working for your list. Meanwhile, there’s so much to experiment with. Subject lines. Color schemes. Email length. The list is never-ending. As such, having your data handy will let you know if your presence is going in the right direction. Likewise, you can ensure that your emails are successfully being delivered during your most important pushes and that you aren’t hitting any snags. Looking at your revenue on a day-to-day basis might seem obvious, but can actually wear down mentally those might be operating in the red. Not unlike web analytics, some might see it as more prudent to look at the big picture. Either way, relying on a revenue dashboard is a smart move to figure out where your biggest ROIs are for all of your business’ many moving pieces. No matter how you slice it, you should focus first and foremost on what’s actually making money when you’re just getting off the ground. While revenue isn’t the be-all, end-all of your metrics, it is what keeps you in business, after all. The final takeaway here? Data is invaluable to businesses today, but there’s no doubt that the sheer amount of numbers we deal with on a daily basis can be daunting. 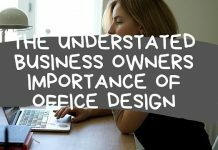 As such, focusing on the metrics that matter most will keep business owners in line while keeping them from getting overwhelmed. Hopefully this list can help you hone in on what matters most as you navigate today’s data-driven business landscape.